A couple months ago you noticed there were products in your store that have not sold in quite some time. You decide to knock off a percentage of the retail price and move these items to the clearance rack. Even after the discount, these products are still stuck in your store. It may not be the products, or price, but possibly the clearance area itself. This article will provide you with tips and tricks to consider when setting up a winning clearance rack. First off, when placing items in your clearance section don't feel defeated. This is an opportunity to clear valuable store space and improve your cash flows to purchase more popular products in the future. 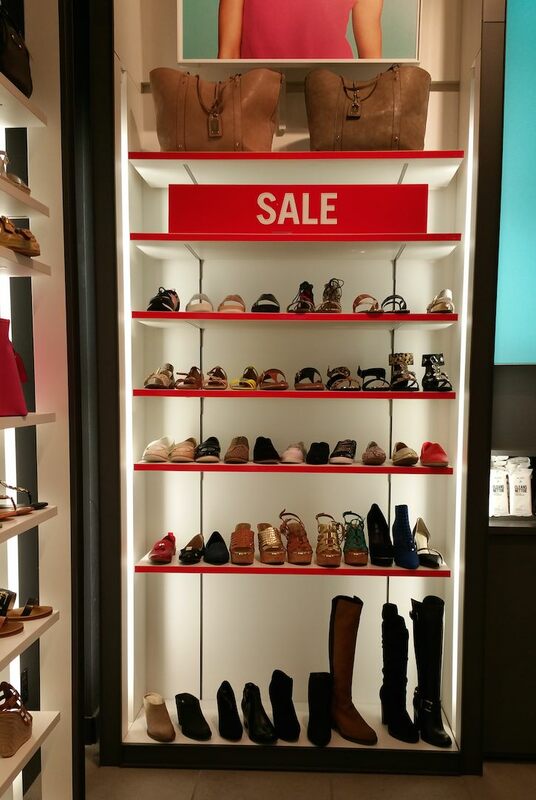 Red is a great color to quickly attract attention and signify a markdown, but be sure to use it sparingly. Red can become overwhelming if it is used too much in one place. Place smaller items by the check out area. This section of your store is the most valuable place for impulse buys, and having items marked down near the register is even more enticing. Make sure you have one clearance sign above the section that is tall enough to be noticed around the store, and another one eye level to the customers near it. "The biggest mistake retail stores make is not fully committing to moving a product out of the store and turning it into cash. Don't stop short, have a sale that lasts a couple weeks or more, and stair step the price of that item down each week." - Cathy Donovan Wagner, author of Killer Clearance Sale Secrets, and RetailMavens.com. As Cathy said, offer a one price fits all clearance section. Organize them in segments, like $2 $5 $10 and $20. 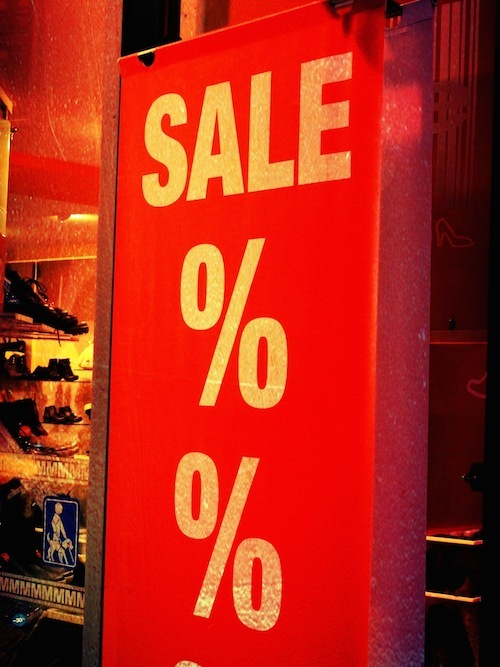 This allows the shopper to determine if they are getting a good deal on one item compared to another at the same price. After a set amount of time move the remaining items from the $20 spot down to the $10, $10 to the $5 and so on. Cathy also recommends that the table or rack the clearance items are on works best with a dollar amount sign. Example: "Everything $20" sells more than "Everything 40% off ". Consumers can process this faster and can easily commit in their mind to spending $20. They don't immediately know what the price will be with 40% off. If possible sort items by size and then style. This saves shoppers time and effort. No matter how cool they think a particular shirt design or shoe style might be – if it's two sizes too large then it just isn't a viable option. Offer substantial discounts for seasonal items, especially if they take up a lot of space. Every square foot in your store is valuable and costly. Don't just throw stuff on a table and consider it done. Try to build vertically to maximize your space. When you are trying to move inventory out of your store, product bundling is a very useful tactic. Buy one get one free is a classic move. Savvy shoppers will notice they are getting big discounts off for each item if they buy them as a pair. This also encourages customers who are undecided between two items to pull the trigger on both at no extra cost. If you have lots of similar items, try a buy 3 get 2 free deal. This will really get items moving out of the store. However, this also depends on what the product is. Most people won't buy 3 bikes to get 2 more for free, but items like socks or small accessories are easier to purchase in larger quantities. Alert your social media followers about your new and improved clearance area. Everyone loves saving money, and they might bring others who have never visited your store before. Cathy suggests using your POS system and filter for least profitable customers, this way you can get an idea of those who only purchase during sale times. Your "consistent customers" and "sale customers" will normally be different. Not to say that "consistent customers" won't purchase sale items as well. You can also offer a clipboard in clearance areas to encourage your "sale customers" to provide their contact information to be notified of future sales. 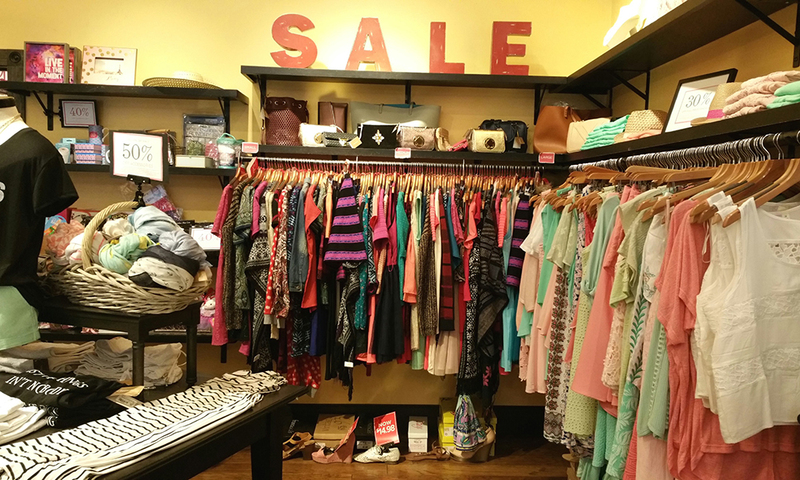 Don't worry if your clearance rack or table becomes cluttered, "sale customers" love to dig and search for discounted treasures. However, if your clearance has run its course and you are in need of cash or space for additional inventory check out BoxFox. Retailers can turn old inventory into maximum cash in one transaction.